Years ago, Catholics on Signal Mountain were few and far between. The few that did live on the mountain's winding roads and in the hidden hollows traveled to downtown Chattanooga 's Saints Peter and Paul Church to hear the gifted Msgr. Francis Sullivan celebrate Mass. Signal Mountain itself was quite a different place then, too. Blissfully scenic, the mountain attracted vacationers and weekend visitors, but was still not greatly populated. That Signal Mountain community stood in stark contrast to today's commercial retail centers and planned community developments. In 1936, the late Brother Gerard Kuhn, then superior of the Alexian Brothers' U.S. province, wrote the Nashville Bishop William L. Adrian from his Chicago headquarters asking permission to purchase the lovely, but desperately broke, Signal Mountain Hotel for use as a convalescent home for men and as the province's novitiate. Just as the bishop had given his permission and the sale had been completed, a number of non-Catholic Signal Mountain residents voiced their opposition to the plan and unleashed a furious, public, anti-Catholic attack on the brothers and the church in general. Despite pleas from some influential residents, Bishop Adrian refused to revoke his permission. Staunch supporter Msgr. Sullivan, a man of strong principle and even stronger determination, along with some of Chattanooga 's Protestant clergymen, shamed the opposition into silence. The brothers moved to the mountain in the summer of 1938 converting part of the hotel into a chapel which they dedicated to the saint whose rule they followed: St. Augustine. Since the Alexians had no ordained clergy of their own, the bishop assigned Father Roy Gratenrath as chaplain and gave local Catholics permission to attend Mass at St. Augustine Chapel. Amazingly enough for a community that small, he gave it the status of a parish. That arrangement forged a bond between the Alexian Brothers and Signal Mountain Catholics that endures to this day. From that day forward, the parish has continued to grow. World War II brought Msgr. Joseph Mitchell to St. Augustine where he served for 14 years, establishing religious education classes for children and opening a mission in the Sequatchie Valley. Although the parish never had a school, in the late 1950's Father William Grannis, the pastor at that time, struck a deal with the new St. Jude Church and School in Red Bank to accept St. Augustine children and purchased a bus to take them there. 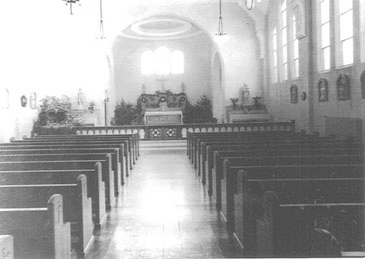 During the 1950's the parish grew to more than 100 families. 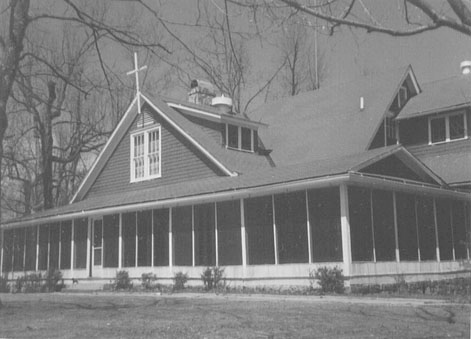 In 1960, James R. Hedges deeded over a beautiful piece of mountain property with its buildings to Saints Peter and Paul Parish. Bishop Adrian arranged for that property to become the site of a church for the St. Augustine community. Father Bowling, pastor in 1967, converted the old Hedges home for use as a church, and the parish said farewell to the Alexian chapel, its home for almost 30 years. 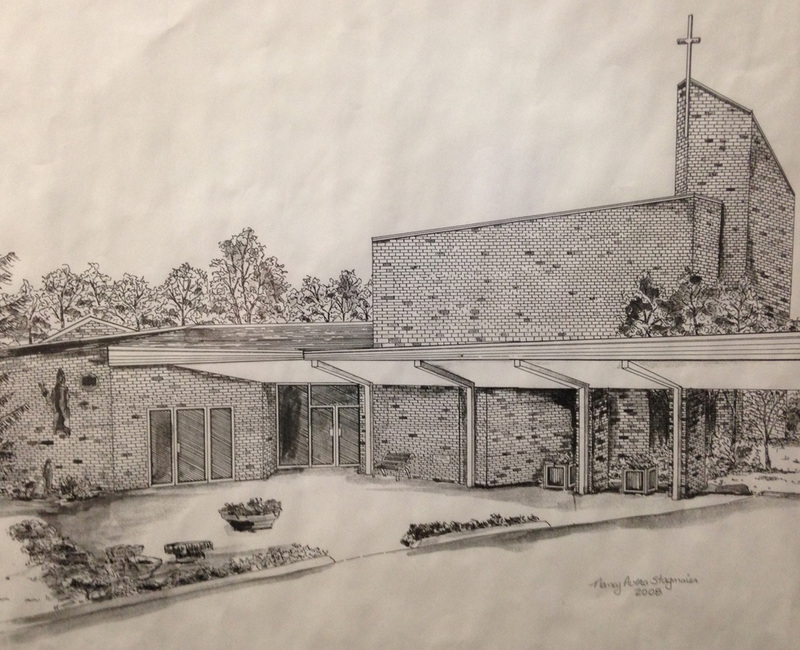 In 1970, St. Augustine church was completed and dedicated. It was the first church in Tennessee designed with the then-new liturgical norms established by the Second Vatican Council. The fan-shaped church with its altar detached from the wall and facing the congregation, its separate Blessed Sacrament chapel for daily Mass, and its striking, if eclectic, appointments was held up as a model for the rest of the diocese. Indeed, many churches built after that time resemble St. Augustine's basic design. Since 1970, St. Augustine Church has been blessed with a series of dedicated pastors including: Rev. James M. Bowling, Rev. Vincent J. Hines, Rev. Herbert W. Prescott, Rev. Vincent Kaufman, Rev. Paul A. Hostetter, Rev. T. Allen Humbrecht, Rev. Robert J. Hofstetter, Rev. Paul Valleroy, Rev. Peter Iorio, Rev. Patrick Brownell, Rev. Anietie Gerald. Akata, and Rev. Joseph Kuzhupil, MSFS, who is currently serving. By 1986, St Augustine had dedicated classrooms, a grand assembly room, new kitchen facilities and offices. The expanded space allowed the parish for the first time to host numerous deanery-wide events. Also expanding in the 1980's during the pastoral service of Fr. Al Humbrecht and Fr. Bob Hofstetter was the size of our parish family, which has now grown to over 370 families. 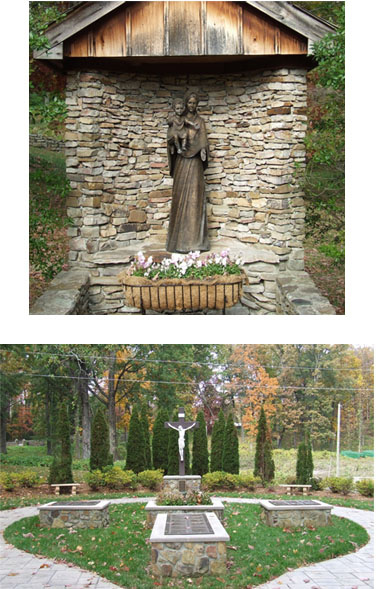 In 1988, the parish built in honor of the Blessed Virgin Mary, Mother of Jesus, a shrine which remains a peaceful and beautiful place for prayer and reflection. A much needed columbarium was added as well for the gracious interment of Saint Augustine parishioners. Today, the columbarium is embellished by columns and beautiful artwork depicting the Stations of the Cross of our Lord. 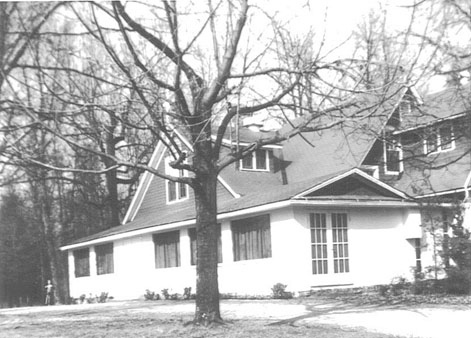 In 1967 the Hedges home was converted. In 1970 St. Augustine church was completed.